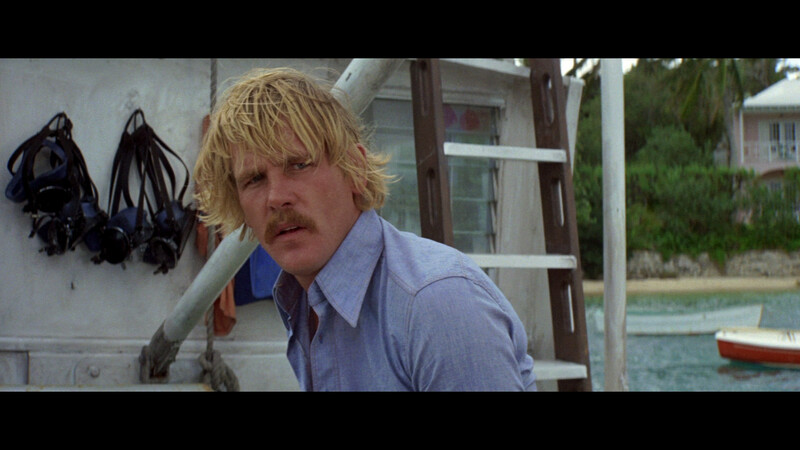 Description: This visually stunning action-adventure film, based on the best-selling novel by 'Jaws' author Peter Benchley, stars Nick Nolte and Jaqueline Bissett as a couple on a romantic holiday in Bermuda. New Yorkers, David Sanders (Nolte) and Gail Berke (Bissett) are enjoying a much-needed vacation; while diving one day they discover the sunken wreck of a WWII freighter and unearth a gold coin as well as a mysterious glass ampule. Excited, they believe their discovery could be a long lost treasure, but they soon learn that their most valuable discovery is actually an ampule of morphine, one of thousands left behind on the medical supply ship. This discovery leads them into the hands of Henry Cloche (Louis Gossett Jr.), an extremely dangerous and powerful Haitian drug dealer who will stop at nothing to unearth the dangerous treasure. With the help of Romer Treece (Robert Shaw), an old treasure hunter, David and Gail soon realize that they have made a much more important discovery than the morphine and set out to keep their actual treasure a secret. Suspenseful death-defying dives and exquisite underwater photography. 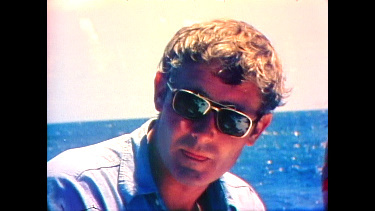 The poster of Bissett underwater in a T-shirt adorned many a dorm wall in the late 1970s. 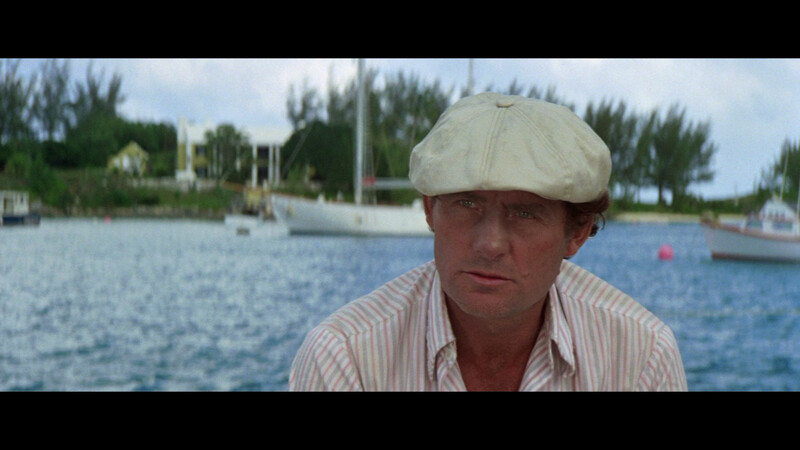 An obvious attempt to cash in on the success of Jaws, this 1977 thriller was also based on a bestseller by Peter Benchley, and it features a memorable performance by Robert Shaw (the doomed shark hunter in Jaws) in one of the last roles of his career. Looking very tanned and healthy, Nick Nolte and Jacqueline Bisset play a young couple enjoying a tropical vacation who discover a glass ampoule while scuba diving off the coast of Bermuda. 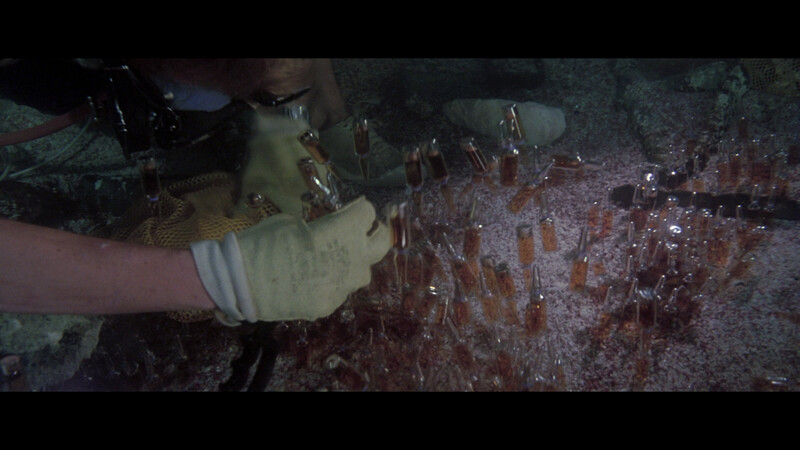 It takes a seasoned treasure hunter (Shaw) to identify the ampoule as part of a valuable shipment of World War II morphine lost at sea, coincidentally, atop the even greater treasure of a sunken Spanish galleon. 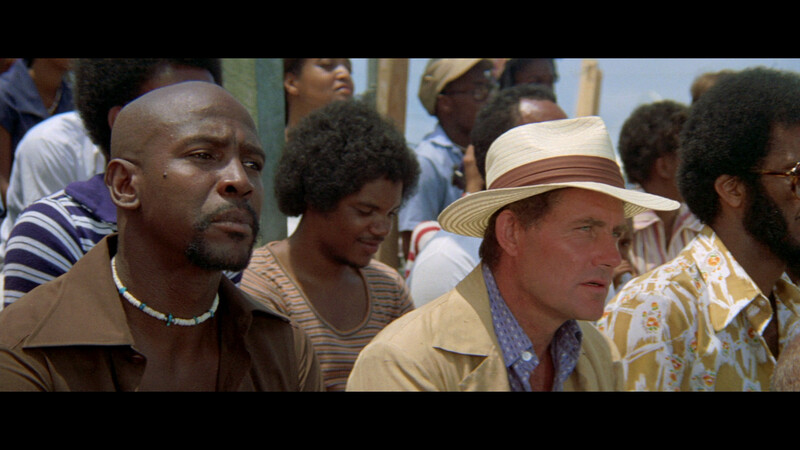 Thus begins a race for drugs and treasure pitting Nolte, Bisset, and Shaw against a ruthless drug lord (Louis Gossett Jr.) who'll do anything--even resort to Haitian voodoo--to get what he wants. 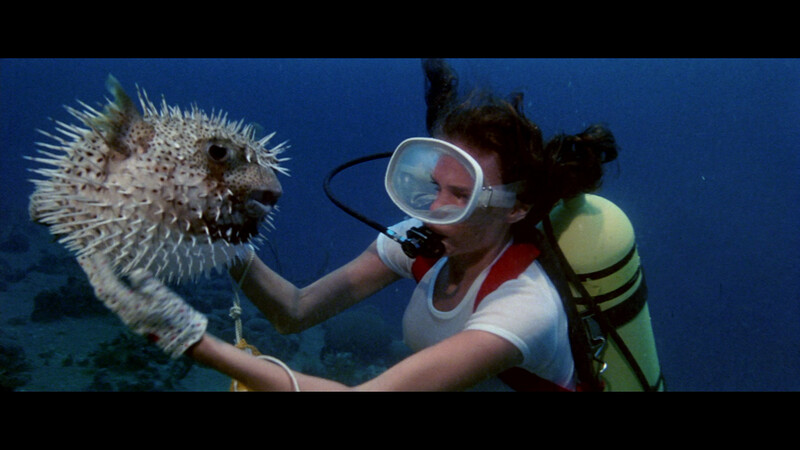 It's all rather contrived and exploitative (after all, the movie's best known for Bisset's wet T-shirt scuba-dive), but as escapist entertainment goes it's got some exciting highlights including a moray eel that attacks on cue and... well, uh, Jacqueline Bisset in a wet T-shirt. 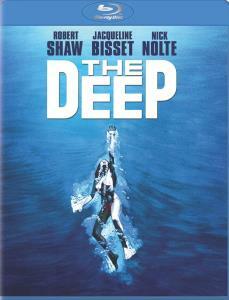 The Deep shows some of its age on Blu-ray appearing quite moderate in terms of 'Wow' factor. There are a few scenes that show some healthy depth and colors seem strong - if, possibly, boosted. 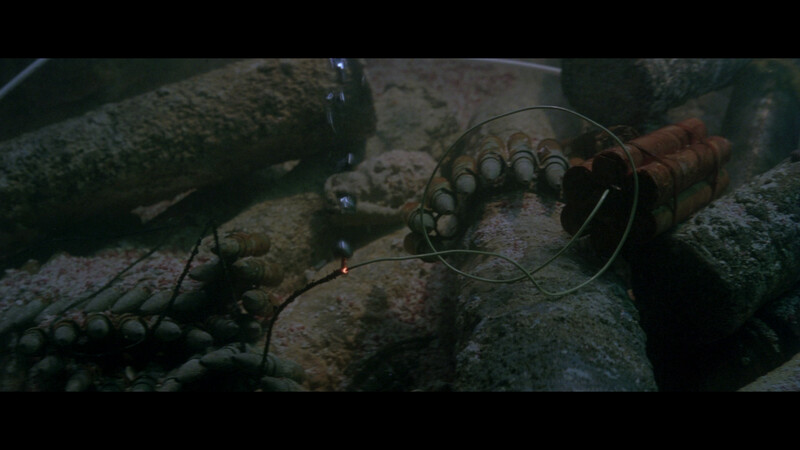 Underwater sequences are not up to today's standard of remarkable brilliance but do seem consistent. This is dual-layered with almost 33 Gig given to the 2-hour feature. Colors may be somewhat washed - skin tones seem quite warm - contrast exhibits decent, if not, piercing black levels. 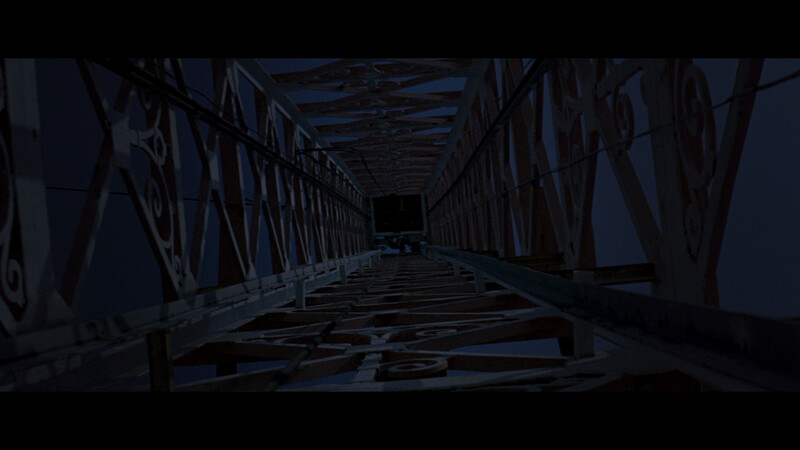 Daylight scenes are more impressive and some scenes are exceptionally dark with, what looks looks, grain/noise. This Blu-ray is probably representing the film accurately but its, over 30-year, age is the most determining factor for its lack of pristine brilliance. It's clean and reasonably free of artifacts - undoubtedly the best the film can presently look for your home theater. Nothing is really demonstrative or overly notable in the Dolby TrueHD 5.1 mix at 1367 kbps. 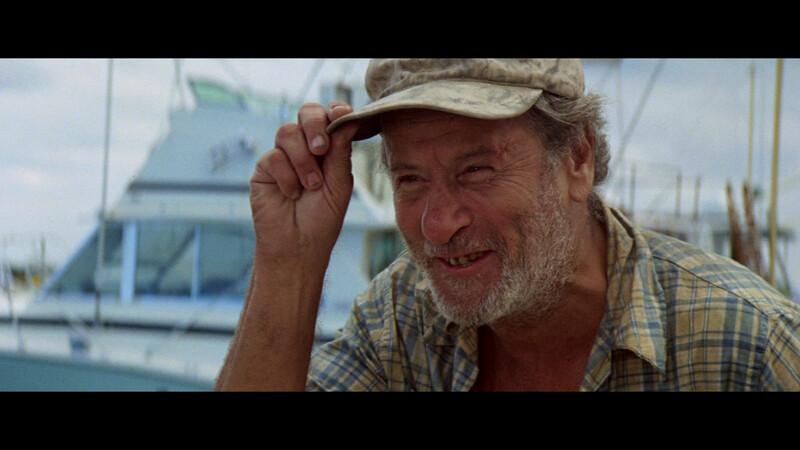 It suits the film with an underlying moody soundtrack but never reports heavy bass response. It seems very appropriate for the film supporting John Barry's adept score but nothing here will knock your socks off. There are optional subtitles and my Momitsu tells me this disc is region FREE! 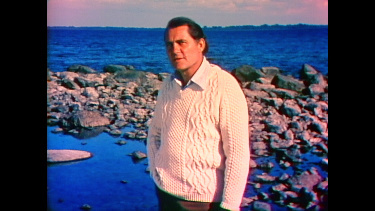 Supplements carry a 48-minute The Making of 'The Deep' narrated by Robert Shaw that gives evidence on how this was so groundbreaking for its time. 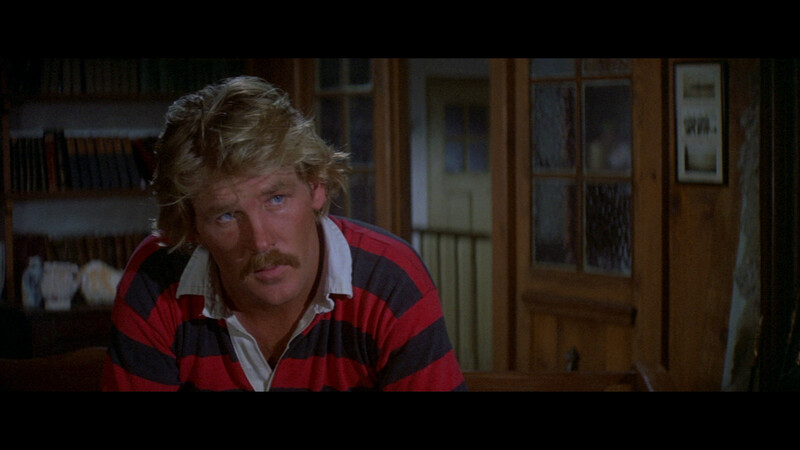 The SD quality is quite weak and appears to have been made around the same time as the film. 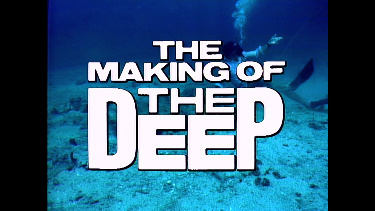 I wasn't aware that there was a 3 Hour Special Edition of The Deep - but there you go - there are 6 scenes included (in HD!) from that mysterious version - about 20-minutes worth. There are also 7 HD trailers - Close Encounters of the Third Kind, Dr. Strangelove Or: How I Learned to Stop Worrying and Love the Bomb, Secret Window, The Dark Crystal, The Da Vinci Code, and Rocky Balboa. This disc is ready for those of you wish to indulge in BD-Live (profile 2.0). I remember seeing this in the theater with my older sister and her boyfriend (possibly for some penance) - I must have been 15. This is an admittedly hollow film exercise but it carries some nostalgia - especially Bisset's soaking breasts. It's more entertaining than I was anticipating and the Blu-ray seems to build the suspense and mood that much more furtively. It's not the most memorable film but there are certainly far worse ways to pass the time in your home theater. The three lead performers 'presence' alone may be worth indulging. I like each of them in this.